TPH 128 Joint Rolling Machine – The L’il Fella - FREE Shipping! 1/4 the size of the TPH 512 and fills 128 cones at a time. 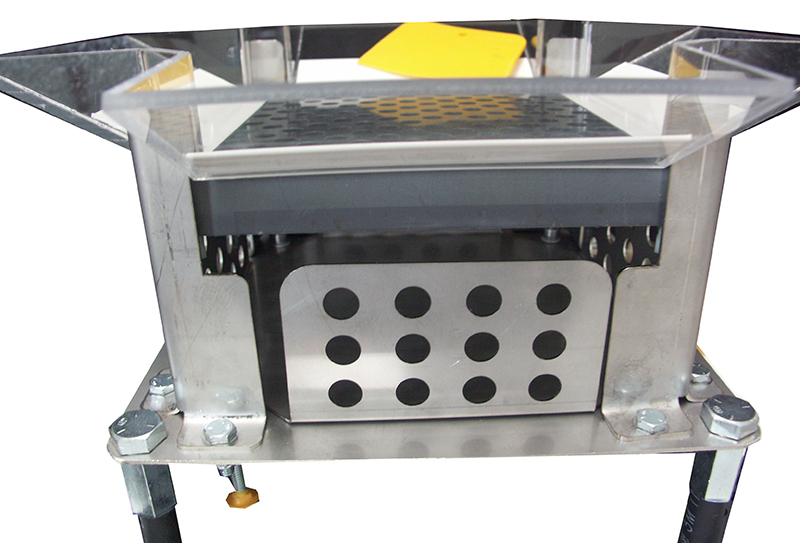 Comes with 98 mm plate for Cones or Raw brand papers (1 gram) Other plates available please contact us for more info. We can cut a plate to any size cone. The TPH -128 Joint Rolling Machine ( The L’il Fella) is 1/4 the size of the TPH 512 and fills 128 cones at a time. We use the same custom cut blunt plate and overall design as the TPH 512 only it is smaller, lighter and designed to fit neatly on the shelf when not in use. Over all dimensions are 14″ tall. With a footprint of 10 1/4″ square. And an overall size (L X W) of 13 1/4 square.